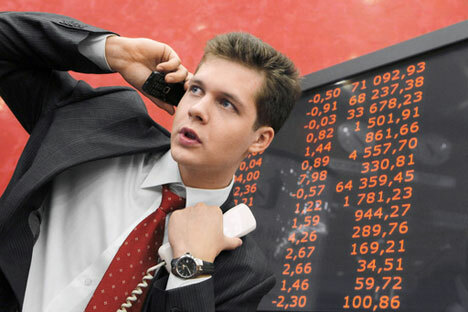 It has been proposed that Russian companies be allowed to issue bonds "in batches". Russia's Central Bank may allow issuers to register an issue prospectus once and use it as a basis for several issues, to be called "an issue program". Short-term bonds will be in demand, says BKS Broker managing director Oleg Chikhladze. The high demand for similar commercial bonds issued bymajor issuers such as Coca-Cola or General Electric abroad indicates that Chikhladze’s prediction has firm grounds. Like their foreign counterparts, Russian companies too will now be able to cover their cash shortages with the use of bonds whose maturity falls a week or a fortnight after the issue date. Until now, companies used bank loans and promissory notes for the purpose. "Banks do not always have the necessary liquidity in the amounts required, while promissory notes are, in general, a very inconvenient instrument whose use is fraught with fraud. Bonds are a far handier option," says Chikhladze. According to Central Bank first deputy chairman Sergei Shvetsov, the move could bring a tremendous boost in interest in the Russian bond market, although some experts qualify this assertion by pointing out that any increase in interest among investors will occur primarily on a domestic basis. "Foreigners are unlikely to be interested in bonds with such short-term maturity, all the more so since these bonds will most probably be ruble-denominated,” Investcafe analyst Mikhail Kuzmin told RBTH. “I expect a particular interest from Russian private investors, since this decision is primarily aimed at developing relations on the domestic market." "Foreign company representative offices will not have access to this instrument. While full-fledged subsidiaries, for instance Russian banks owned by foreigners, will have access on general terms," says Kuzmin.